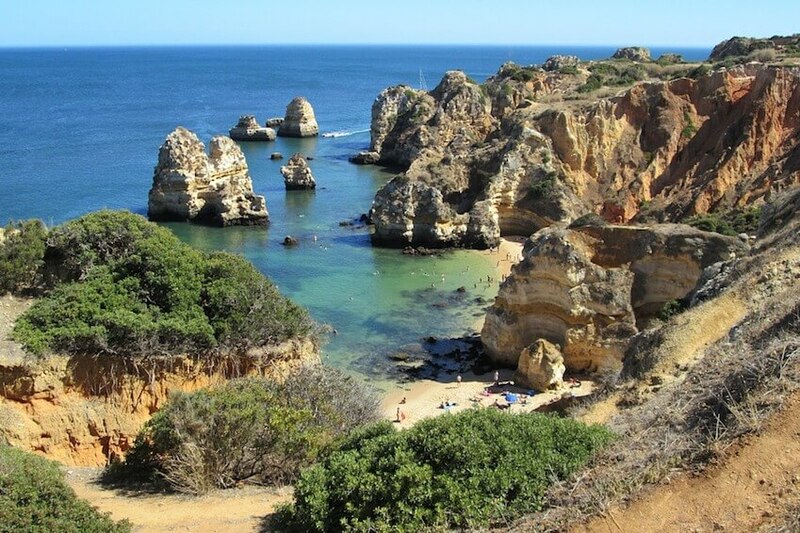 The Algarve, this region of Southern Portugal is the flagship destination for travellers seeking excellent beaches, bays nestled between the rocks, cliffs with golden highlights or exceptional golf courses. Its mild and pleasant climate all year round makes it possible to engage in activities of all kinds: watersports, visits to the historical patrimony, activities in the grounds, or excursions by boat while tasting trays of seafood facing the rich tones of the blue sea. It offers you beautiful surprises in the heart of its traditional cities. Capital of the Algarve, Faro has preserved its traditional lifestyle with beautiful museums and architecture full of treasures. Getting lost in the old time streets of the old quarter surrounded by ramparts listening to the song of storks on the roofs of the city, is a particular pleasure to enjoy. During your walk, you will also have the opportunity to discover magnificent monuments in cobblestone streets where there are charming buildings of the episcopal palace. The improbable of the city: its church of Carmo-Capella Dos Ossos with its walls covered with skulls and human bones. A show like nowhere else! And, as you rise to the heights of the cathedral's steeple, a panoramic view of the city awaits you. In addition to the historic buildings, Faro is also a wild marina with its paradise of fauna and flora, but especially with the Natural Park of Ria Formosa to the tunes of Camargue. This nature reserve is home to beautiful beaches with an amazing biodiversity. Discover sandy islands and deep lagoons of 60km long, greeted by flamingos, storks and herons. Facing pristine beaches, it is a colourful backdrop that rises on the amber cliffs of the coast. In Carvoeiro, a relaxing Eden worthy of a traditional postcard with its white houses, fishing boats and white sand beaches, awaits you. Indeed, this place is full of little treasures hidden in the heart of the cliffs. The hiking trails along the cliffs allow you to browse this paradise for fans of walking on the Seven Hanging Valleys trail, pine forests and golden beaches. Using secret passages in the cliffs, explore the surrounding caves such as Benagil with three arches and a pierced ceiling that opens onto the sky. 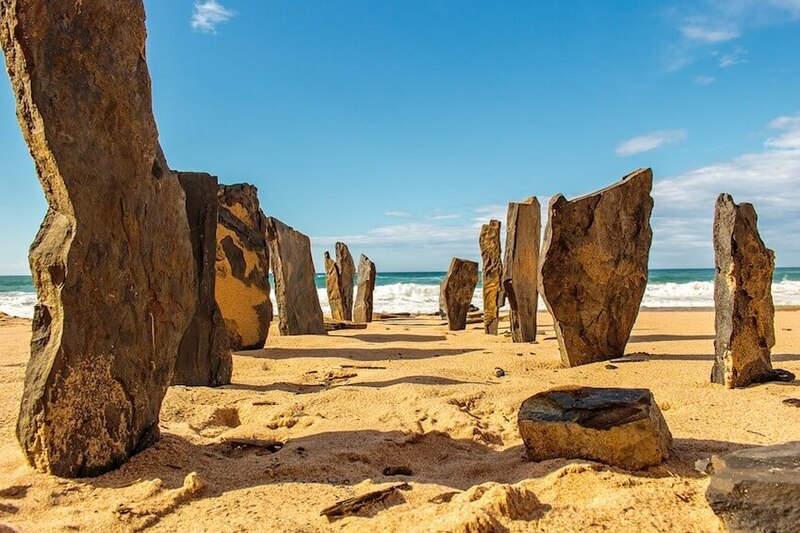 Even more seductive, aboard a fishing boat or kayaks, the most curious of you will be delighted to discover the rocks carved by the waves of the interior close to small secret beaches. The city of Tavira is your rendez-vous with the history of Portugal with oriental charm. On both shores of the Gilao River, this picturesque corner encloses an ancient Moorish city in a unique blend of traditional Portuguese architecture and Moorish lines. In its heart stands the ruins of a castle, a bridge of Roman origin or churches with ornamental carvings. From the tower, enjoy a beautiful 360° view of the city and its four-sided roofs. To the South of the city, it is the pristine beaches of Ilha de Tavira that offer an exceptional setting on the edge of the Ria Formosa Park. And, let yourself be tempted by a tasting of fresh fish around a bottle of local wine while admiring wonderful sunsets with magical colours. Nestled in a bay, near the beautiful Cape Saint Vincent Reserve, Lagos is a historic city in which travellers enjoy strolling while discovering the historic past of the Great Discoveries era with its legends of pirates and sailors. In its pretty alleys embellished with frescoes of street art, it offers a delicate mix that is classic and atypical, with nightlife that is lively. True secular city, it contains little jewels of the past: the resplendent San Antonio chapel, an old Moorish wall, carved woodwork or balustrades of wrought iron balconies that give the place an exquisite charm. In addition, the Cape of Ponta da Piedade is the most splendid natural attraction of the Algarve. Indeed, these high eroded cliffs shelter caves in captivating colours in the heart of a path of sumptuous beaches where the dive spots are particularly magnificent. With the sea on the horizon, let yourself be rocked by the sound of the waves and the mesmerising swim of dolphins and live to the rhythm of this beautiful city. 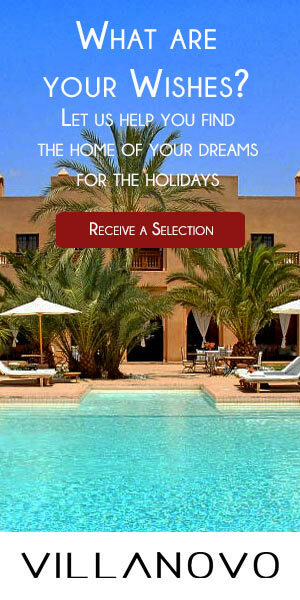 Inland, surrounded by a valley of orange groves, experience the real Portugal in Silves. In the North of the country, it is a peaceful atmosphere hidden in this little corner with cobbled streets and traditional white houses. You have to take the time to stroll there to savour every monument, scent and charm of the old capital of the region at the time when the Moors dominated the Algarve. On the hill of Serra de Monchique, behind walls that offer a point of view on the horizon, stands an atypical red brick castle. Regarded as the most beautiful military moment in Portugal, it contains, in its heart, an ancient Arab citadel to explore.